What Does a Pit Bull Look Like? Despite the fact that pit bull dogs have been proven as less naturally aggressive than Chihuahuas, it was announced this summer that Delta Airlines is banning all service dogs that appear to be of the “pit bull type”. As you can probably guess based on the many posts I’ve made on pit bulls lately, I have a lot to say about that. Bans like these are not only rooted in myths about pit bulls that are scientifically inaccurate but the fact that anyone’s service dog – as in, a dog that is registered as having been trained to assist that person with some medical need – would be banned from an airline is just wrong. And in fact, Delta’s ban of pit bull service dogs may very well be illegal. We’ll get into that, but first, let’s talk about the many ways in which this ban is not only wrong but also impossible to accurately enforce. If you’ve seen my post on the types of pit bulls, you’ll know that “pit bull” isn’t even a breed at all.This is an umbrella term for a variety of dogs that all have roots in a pairing between a bulldog and some breed of terrier. Take a look at the Bull Terrier and the Stafford shire Terrier – two very different dogs in appearance, not to mention in temperament and health. Yet they are both in the pit bull family. So when Delta Airlines says that it will not allow “pit bull type dogs”, I have to wonder how they will even identify what is or is not a pit bull type. It is a known statistic that kennels around North America routinely mislabel mix breed dogs as pit bulls, simply because this breed group is so hard to identify accurately. And quite a lot more. So I see two possible ways that Delta might do this. Either they will just allow employees to guess as to the breed of a dog. Or they will ask passengers for the dog’s breed – which is illegal when a dog is a service dog. Some news outlets have said that Delta banned pit bulls that are emotional support animals – but the Washington Post reported that they banned service dogs (guide dogs for the blind, physical therapy dogs for the disabled, PTSD support dogs for veterans, and so on) that appeared to be of the pit bull type. Their reasoning was that two of their employees were bitten by service dogs in training on a flight. The biggest concern here is that Delta is telling people with disabilities that they may not be welcome on Delta flights if they have a guide dog that is, or looks like, a pit bull type. Additionally, the DOT went on record saying this policy is not legal because it discriminates against people with disabilities. But since this is Simply for Dogs, let’s focus on the dogs! I’ve harped on this issue before in a few articles recently, but the short answer is: yes. No domesticated dog breed is more or less likely to be aggressive based on nature alone – it’s a combination of personality, their training, and the environment in which they grew up. A pit bull can be a sweetheart if raised in a loving home with great owners that trained them well. A lovable Labrador can be dangerous if treated badly. Now, let’s get into the long answer. Pit bulls were, at one time, considered one of the best dogs that any family could have. Throughout American history, they were almost the national dog at one point, featuring heavily in advertisements, playing a key role in the military, and being touted as the safest dog you could have for your kids because they were such good nannies. 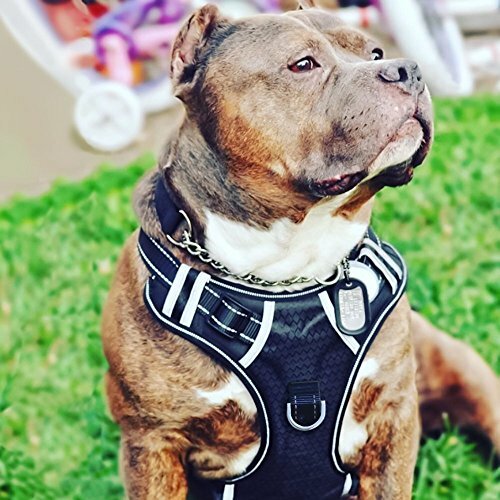 The pit bull was bred as a combination between bulldogs and terriers because breeders were looking for a mixture of muscle, smarts, and tenacity. Yes, this was often exploited in dogfights. But these dogs were also used as farm helpers, family guardians, and in the armed forces. They were not specifically bred to fight, nor were they specifically bred to be more aggressive. In fact, if you do some online searches, you’ll find just as many confused dog owners searching out “How to make a pit bull more aggressive” because they wanted a bodyguard and ended up with a lovable goof. Unfortunately, because of their appearance and their physical strength, and their use in dogfights, the media tended to focus on pit bull attacks more than any other dog attacks. This gave the public the impression that pit bulls were more dangerous than other breeds, which is not true at all. And keep in mind that with even professional kennel workers routinely mislabeling dogs as pit bulls when they are not, it could even be a case of mistaken identity many times. Additionally, there is a myth going around that pit bulls can “lock” their jaws. A pit bull’s jaw is no different from any other dog’s jaw. 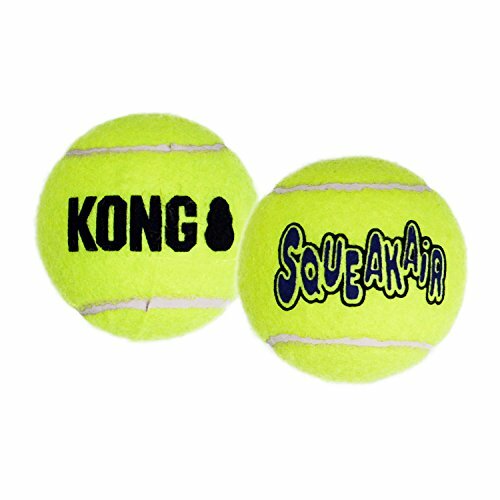 Yes, they can be very strong chewers (stock up on those KONG toys! ), but they don’t have any sort of “locking” mechanism. If you are still looking for reasons why pitbulls should not be banned, look to the professionals. An extremely unbiased report, which does cite truth on both sides of this argument, is this one by the AVMA. In the end, veterinarian Dr. Denenberg summarizes everything by saying “…each dog has the potential to be dangerous.” If you’re going to ban one breed, then why not ban all dogs? Let’s talk about pit bulls in the role of service animals. Delta is specifically targeting pit bulls that have been trained to aid humans who need that aid. I’m focusing on pit bulls that are classified as service animals, not emotional support animals because that is a whole other argument. First, what is a service animal? A service animal is an animal that has been approved by the government in accordance with the Americans with Disabilities Act, to assist or aid a human that has a disability. Only dogs are recognized as service animals, and those dogs must be trained to perform tasks that are specifically related to the person’s disability. The Act says that service animals must be allowed in any public place that people are permitted to go – which is why the DoT stated that Delta’s policy is illegal. Aiding in pushing or pulling a wheelchair. Protecting someone having a seizure. Being a medication reminder for a person with mental illness. Calming and grounding a person with PTSD. These are just a few of the long list of tasks that a service dog may perform. These dogs are considered working dogs – not pets. It’s not possible to “fake” a service dog. You cannot just get the service dog vest, slap it on your dog, and head to the airport. A lot of proof is required to have your dog registered, and people at the airlines know what service dogs act like. They can pick out a fake very quickly. So why would a pit bull be used as a service dog, if there is such a stigma against them? For one, they are extremely smart and extremely motivated to please their person. This makes them easy to train, and they pick up complex tasks fast. They learn through games like fetch not just to go get the ball, but also how to retrieve things for their owner if they are immobile. But many dogs can do this, you say? Pit bulls are also very strong, and that can be helpful for a lot of reasons. They can pull wheelchairs, they can put deep pressure on someone having a seizure, they can stop their owner from barreling into traffic, and much more. 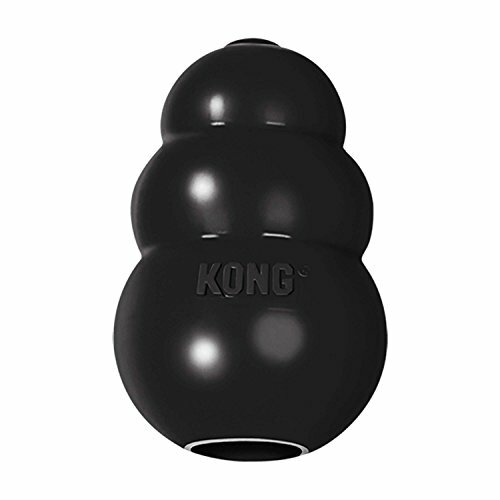 Because of their stocky builds, and the fact that many of them carry their center of gravity low to the ground, they are very solid dogs – meaning they are perfect for bracing yourself on if you need assistance to stand. Under the ADA, service dogs do have to be properly harnessed and leashed to be in public, and the person with the dog must be able to control the dog – whether physically, or through commands. However, the ADA does specifically say that denying service dogs access to a public place where the human can go, due to fear of the dog itself, is a big no-no. So Delta’s cited reason for denying pit bull service dogs is extra bogus – they can’t say “no pit bulls because we’re afraid we’ll get bitten”, according to the law. Other things that they would not be allowed to use as valid reasons to exclude pit bull service dogs include any claim of allergies or health code violations. In fact, the only time a service dog can be denied access to a public place where the person would also go would be if the dog was visibly out of control, or if the dog is not housebroken – and in those two cases, only that specific dog can be asked to leave, not the entire breed group! Additionally, the airline is only allowed to ask what the dog has been trained to do for the person – they cannot demand to see any sort of paperwork on the dog’s registration, under the ADA. Finally, it’s important to note that the ADA also prohibits Delta from putting people with service dogs in certain areas on the plane, or from refusing to offer them service while on the plane. In other words, the ADA makes it very clear that Delta is way outside the boundary of their legal rights at the moment. I don’t think this Delta ban will stick – or ifit does, one good lawsuit will be all it takes to get this ban tossed out. The ADA is pretty clear on the fact that any service dog registered and trained to perform a task for a disabled person is allowed on a plane. The question gets a little murkier when you start talking about emotional support animals. These are animals that aren’t trained to do any sort of specific health-related thing, and instead just provide companionship to someone for mental or emotional health purposes. I should note that there are some medical service animals that help people with mental illnesses, like PTSD. The distinction is not in the diagnosis that the human suffers from, but the action the dog is trained to take. If they are not trained to aid in any way but are just “prescribed pets”, they are an emotional support animal, and the law is a little fuzzier on their right to be in public. The more I dive into the pit bull family of dogs, the more frustrating it is to find these bans happening across the nation. Luckily, many of the breed-specific legislation out there is being reversed. But issues like this with Delta show very clearly that pit bull owners still have a long way to go to get people to treat their dogs as individuals, rather than relying on the myths. If you have a pit bull, give them a hug and a treat from me!